Bees Need a Drink Too! Its HOT! Bees and other pollinators need fresh water to drink too. Add a bee water station in your yard for bees and other animals to get a drink. Bird baths work fine too. 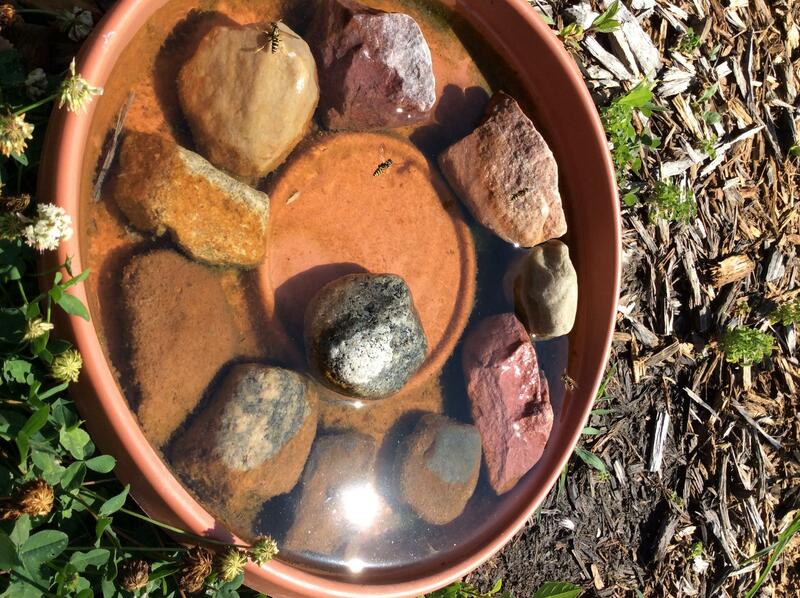 Place a rock in the water station for the insects to land on when they visit. Bee water station in Cherry Creek Pollinator Habitat. 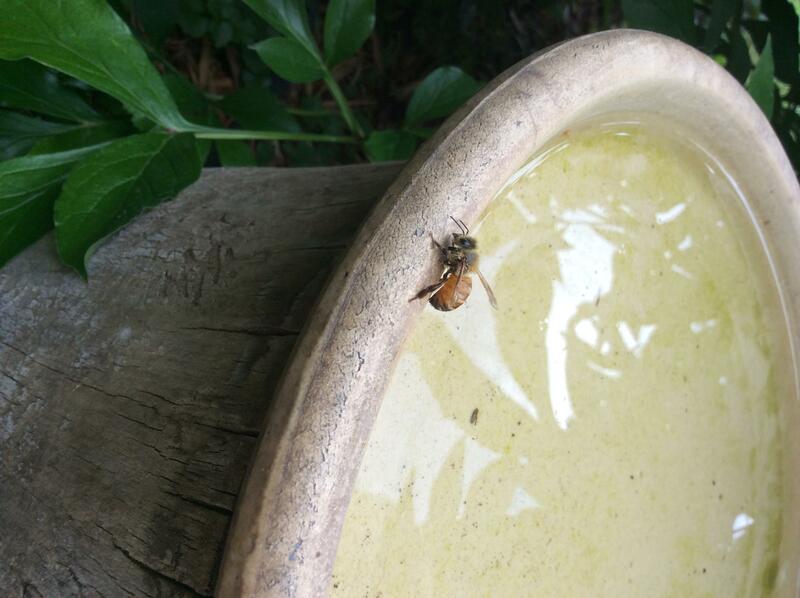 Honey bee visiting a birdbath. M-F 8 a.m. - 4:30 p.m.